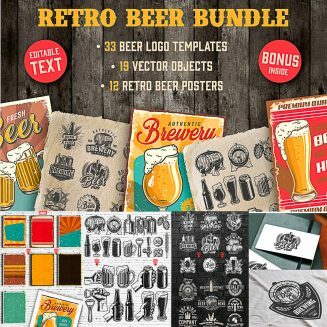 These bundle will be really good if you need to create any design for the companies who linked with beer industry. For example logos, business cards, identity, branding, bar restaurant cafe interior and exterior designs. Also, it can help you to create any promotional materials in this area: flyers, brochures, leaflets, posters (these is ready to use), special offers designs, etc. 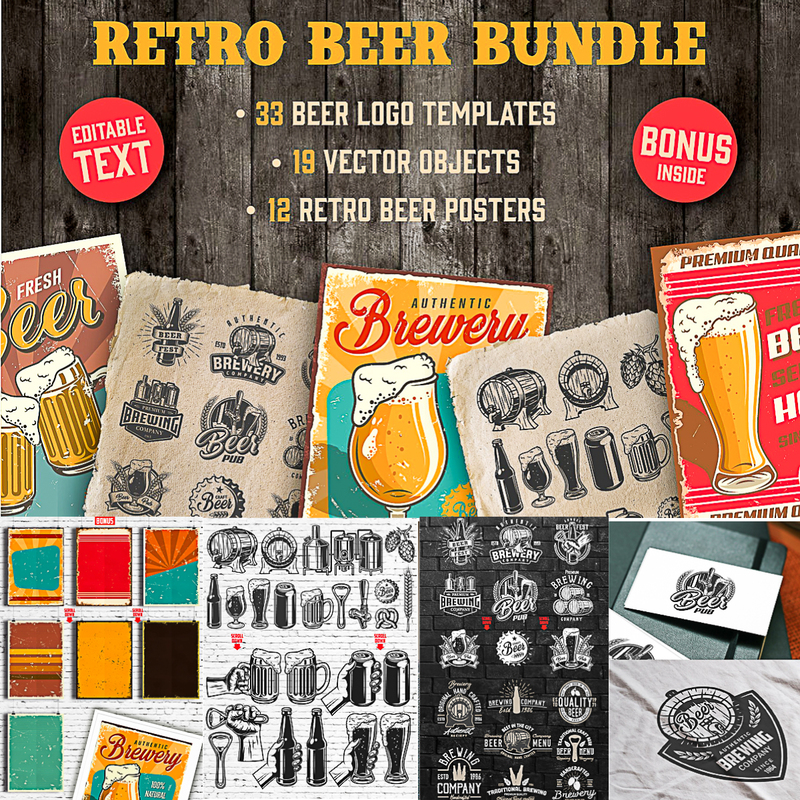 Product includes: 33 beer logo templates, 19 high quality vector objects, 12 vintage beer posters amd 7 grunge templates. File format: .psd, .png, .eps, .ai, .jpg for Photoshop or other software. Tags: alcohol, bar, beer, beer logo, beer poster, bistro, branding, grunge, mug, pint, poster, premade logo, pub, restaurant.